The BFS invert list has just undergone a major update! Since Summer 2009, when we posted our first draft of the BFS Invertebrate List with 169 taxa, we have periodically been adding to the list, and this addition is big! Since our last update, we have added 170 new taxa – more than on the original list, bringing the total on the list to more than 600. 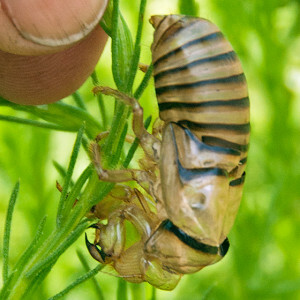 The new taxa include 1 slug, 1 centipede, 1 millipede, 53 spiders, 1 mite, 1 damselfly, 1 dragonfly, 1 earwig, 13 bugs, 1 antlion, 12 beetles, 23 flies, 8 butterflies, 15 moths, 17 ants, 11 bees, 10 wasps, and 32 new invertebrate families! 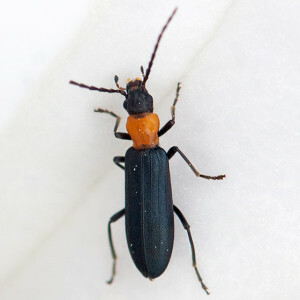 A complete list of the new taxa is at the end of this post. 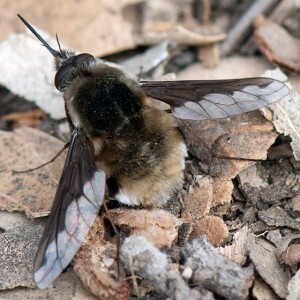 Some families were known to be at the BFS (e.g., House Flies, Mosquitos! ), but none had been officially recorded on the list. Some of the taxa had also been previously observed but not identified to species (e.g., Centris pallida and Anthophora californica). 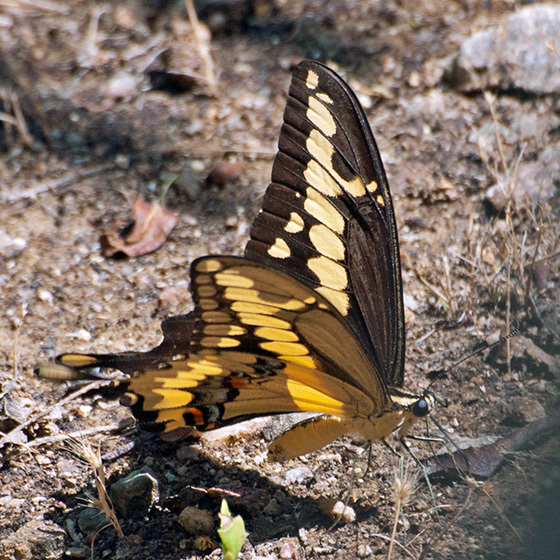 Western Giant Swallowtail (Papilio rumiko) at pHake Lake. ©Nancy Hamlett. 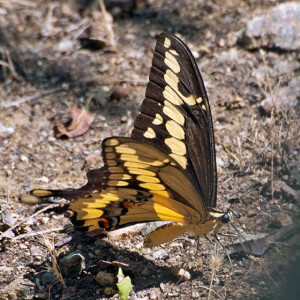 The butterflies that had been called Papilio cresphontes (Giant Swallowtail) have actually been found to belong to two species (Shiraiwa et al. 2014). 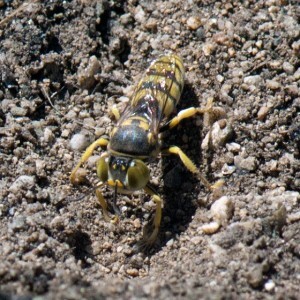 The species found in the eastern US remains P. cresphontes, and the western species is now called P. rumiko. The two species overlap only in Texas. 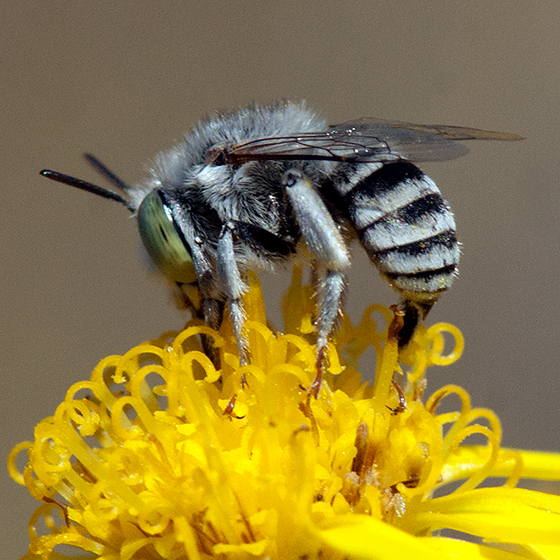 Anthophora curta on Douglas’ Threadleaf Ragword (Senecio flaccidus var. douglasii). ©Nancy Hamlett. A. curta had been considered conspecific with A. squammulosa, but Orr et al. (2014) showed that the two are clearly differentiated by both morphological characters and geographic distribution. On both counts, ours are clearly A. curta. 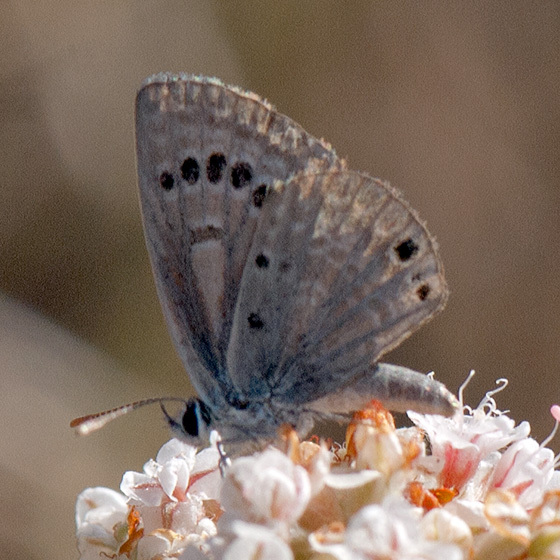 Lotus Hairstreak (Callophrys dumetorum) on Deerweed (Acmispon glaber). ©Nancy Hamlett. 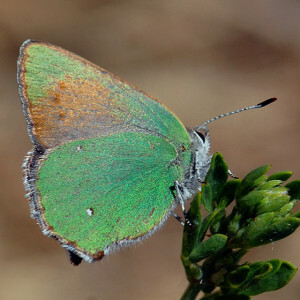 In 2012, the International Commission on Zoological Nomenclature issued an opinion that green hairstreaks previously listed as C. perplexa (which is what we should have been calling ours) are now called C. dumetorum. The more northern coastal green hairstreaks previously called C. dumetorum are now C. viridis. Our BFS species had been confirmed as C. dumetorum. A lot of folks contributed to this update! 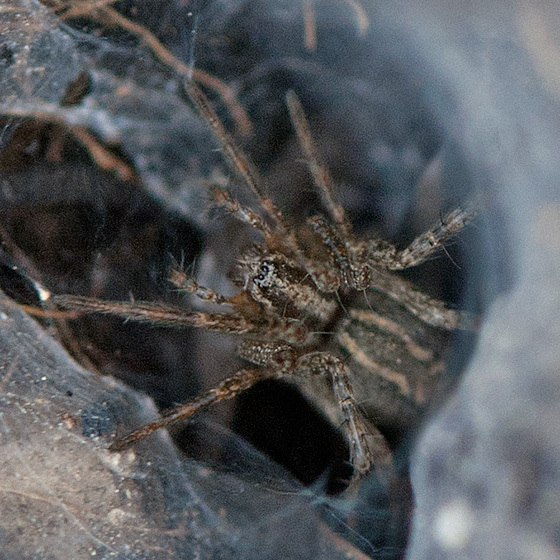 BFS Director Marty Meyer’s research group, including Pomona students Weston Staubus, Dakota Spear, Tessa Adams, Elise Boyd, Clayton Ziemke Madison Dipman, and Ashish Streatfield collected and identified spiders and ants collected in pitfall traps placed in various BFS habitats. 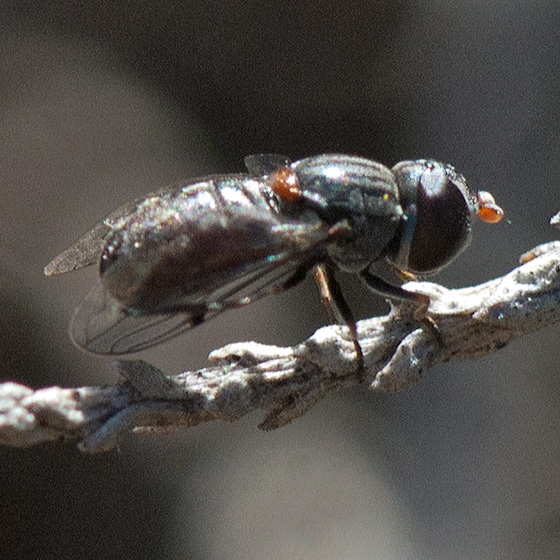 Brandon Watts from Cal Poly Pomona (advisor Joan Leong) collected insects by sweep-netting. The San Gabriel Valley Mosquito & Vector Control District shared their mosquito sightings from the BFS. 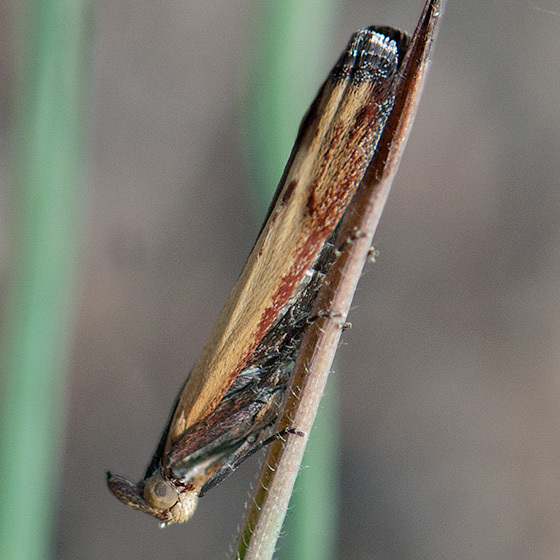 Jonathan Wright, Hartmut Wisch, Nancy Hamlett, Ben Stapp, and Richard Rojo shared observations, photographed insects, and collected specimens. We are also very grateful to the many additional folks who helped with identification, including Kimberly Franklin, University of Arizona; Sandra Brantley, University of New Mexico; Doug Yanega, UC Riverside Entomology Museum; Jim Hogue, Cal State Northridge Biology Department; Molly Rightmyer Gee, San Diego Natural History Museum; Andy Hamilton, Canadian National Collection of Insects, Arachnids and Nematodes; John Ascher, National University of Singapore and American Museum of Natural History; Andy Calderwood, Ventura County Agricultural Commissioner’s Office; David Furguson, Rio Grande Botanic Garden; Ken Davenport, Josiah Gilbert, and Robert Martin at Butterflies and Moths of North America; and all the other folks at BugGuide. Here is the complete list of new additions with some photos. Additional photos are available in the BFS Photo Database and are linked to the BFS invert list. 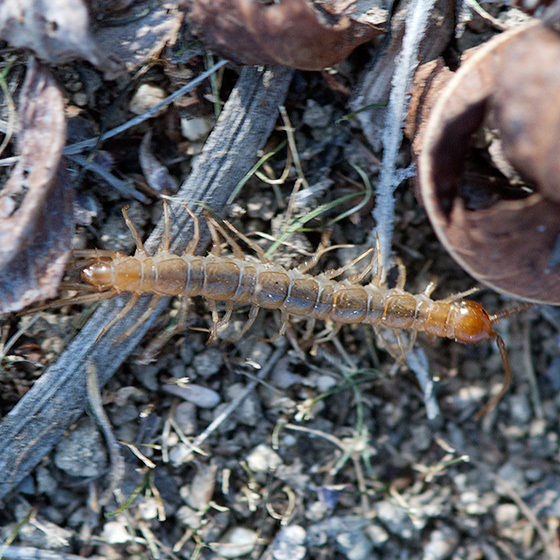 A stone centipede, Lithobius forficatus, found under a cover board near the “old toad pond”. ©Nancy Hamlett. A male Familiar Bluet, Enallagma civile, on a reed at pHake Lake. ©Nancy Hamlett. 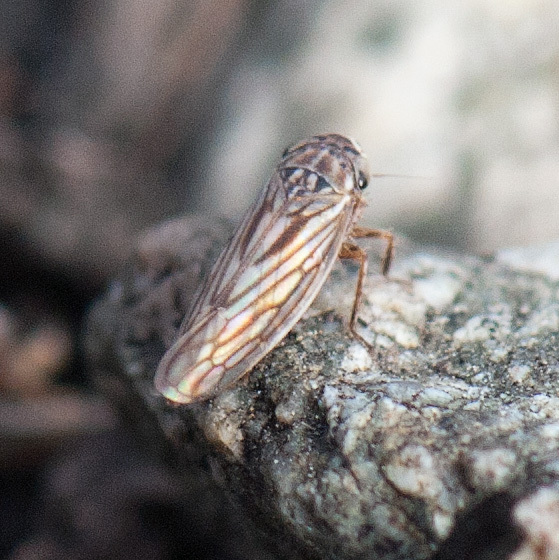 A leafhopper, Exitianus exitiosus, in a recently burned area of recovering coastal sage scrub in the East Field. ©Nancy Hamlett. A molt of a cicada, Okanagana sp., on Pine-Bush. ©Nancy Hamlett. 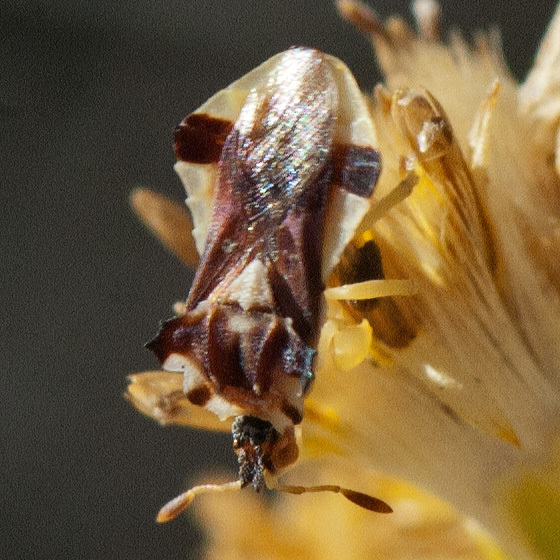 A Pacific Ambush Bug, Phymata pacifica, on Scale-Broom (Lepidospartum squamatum). ©Nancy Hamlett. 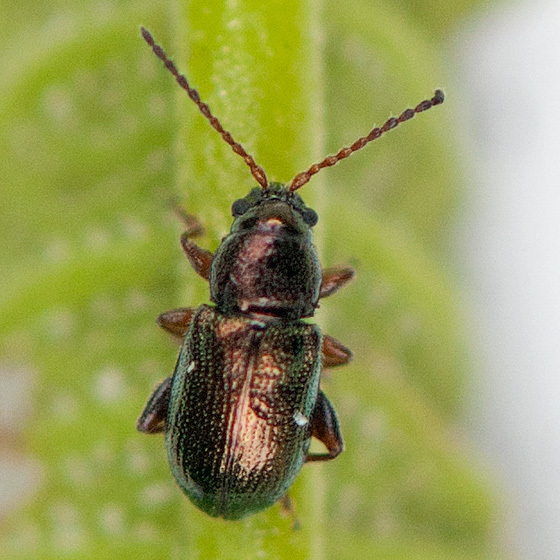 A flea beetle, Hemiglyptus basalis, on young Yerba Santa sprouting in the recently burned area west of the entry drive. ©Nancy Hamlett. 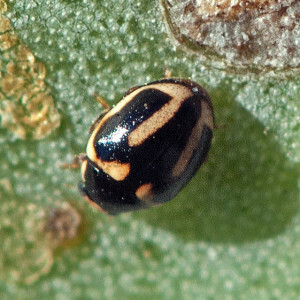 A Trident Lady Beetle (Hyperaspis trifurcata) on Prickly-Pear. ©Nancy Hamlett. A false blister beetle, Asclera excavata, on Jimson Weed (Datura wrightii). ©Nancy Hamlett. 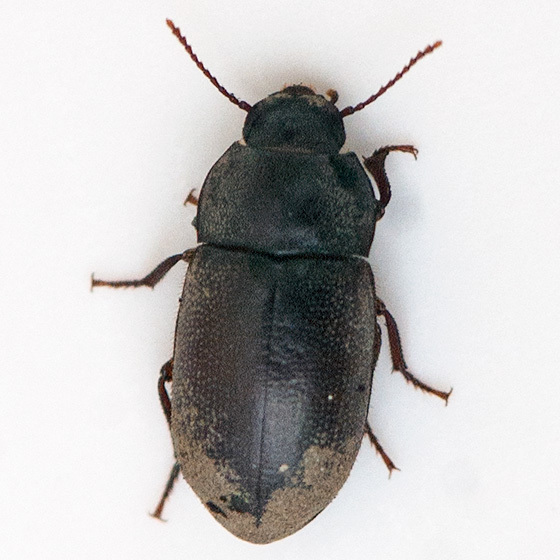 A darkling beetle, Metoponium sp., collected from under the burned bark of a Toyon (Heteromeles arbutifolia). ©Nancy Hamlett. 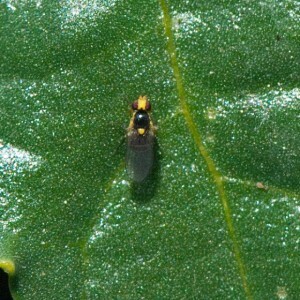 A leaf-miner fly, Liriomyza sp., on Castor Bean (Ricinus communis) in the East Field burn area. ©Nancy Hamlett. 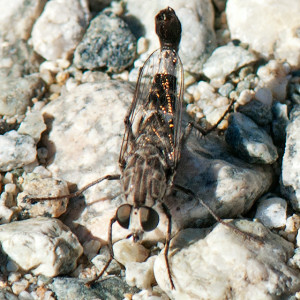 A male flower-loving fly, Apiocera sp., in the fire road north of the lake. ©Nancy Hamlett. A Greater Bee Fly, Bombylius major, on a sandy fire road in the ‘Neck’. ©Nancy Hamlett. A blow fly, Lucilia sp. 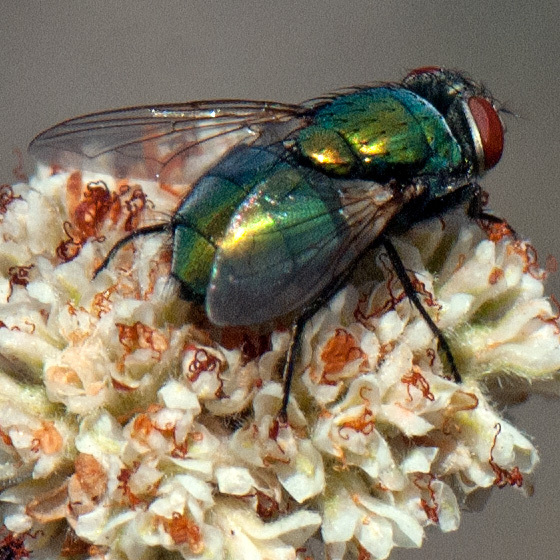 on California Buckwheat (Eriogonum fasciculatum var. foliolosum). ©Nancy Hamlett. A syrphid fly, Nausigaster unimaculata, on a dead branch of Scale-Broom (Lepidospartum squamatum). ©Nancy Hamlett. Reakirt’s Blue (Echinargus isola) on California Buckwheat (Eriogonum fasciculatum var. foliolosum). ©Nancy Hamlett. A Queen butterfly, Danaus gillippus, on on Scale-Broom (Lepidospartum squamatum) in the ‘Neck’. ©Nancy Hamlett. 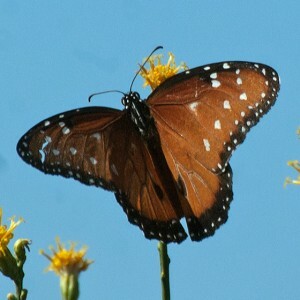 A Desert Black Swallowtail, Papilio polyxenes coloro, in the East Field. This sighting is only the second time this species has been reported in Los Angeles County. ©Nancy Hamlett. 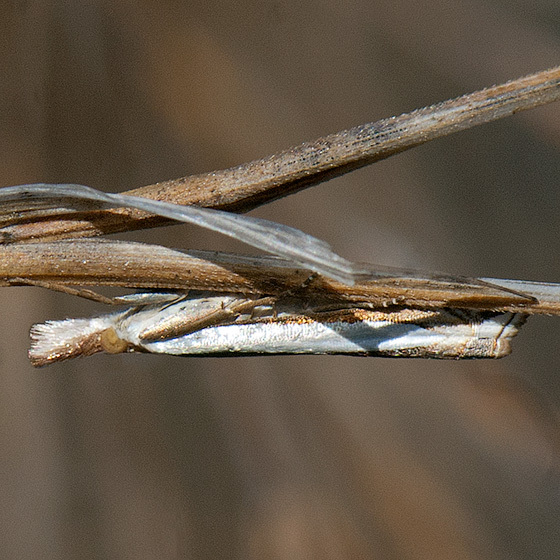 A crambid snout moth, Crambus sperryellus, in the East Field. ©Nancy Hamlett. 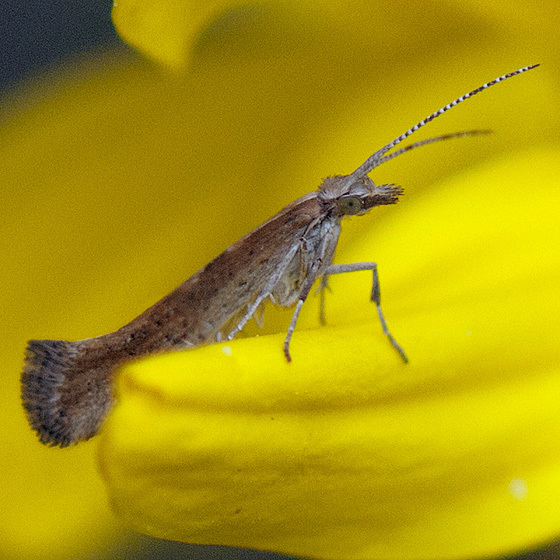 A Diamondback Moth, Plutella xylostella, on California Brittlebush (Encelia californica). ©Nancy Hamlett. A Lesser Cornstalk Borer, Elasmopalpus lignosellus, on brome in the recently burned portion of the East Field. ©Nancy Hamlett. 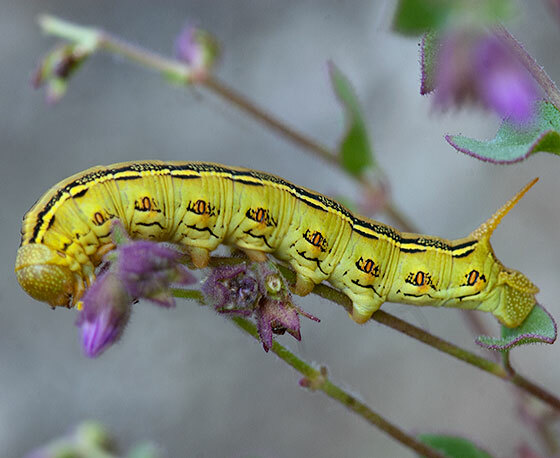 A caterpillar of the White-line Sphinx Moth, Hyles lineata, on one of its host plants, California Four O’Clocks (Mirabilis laevis var. crassifolia) in the recently burned area in the East Field. ©Nancy Hamlett. 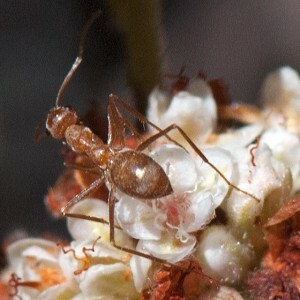 A honeypot ant, Myrmecocystus wheeleri, on California Buckwheat (Eriogonum fasciculatum var. 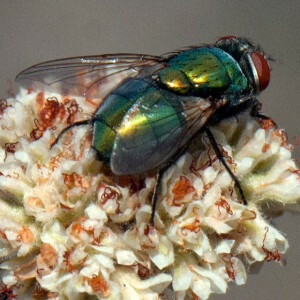 foliolosum). ©Nancy Hamlett. 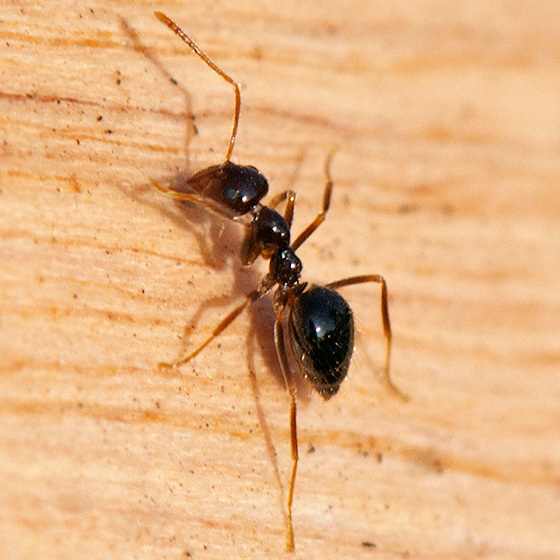 A false honeypot ant, Prenolespis imparis, underneath bark sloughing off a burned Blue Elderberry (Sambucus nigra ssp. 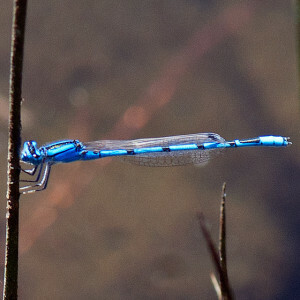 caerulea) in the East Field. ©Nancy Hamlett. 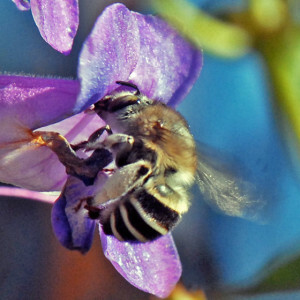 A female California Anthophora (Anthophora californica) on Royal Penstemon (Penstemon spectabilis). ©Nancy Hamlett. A parasitoid wasp, Goniozus sp. 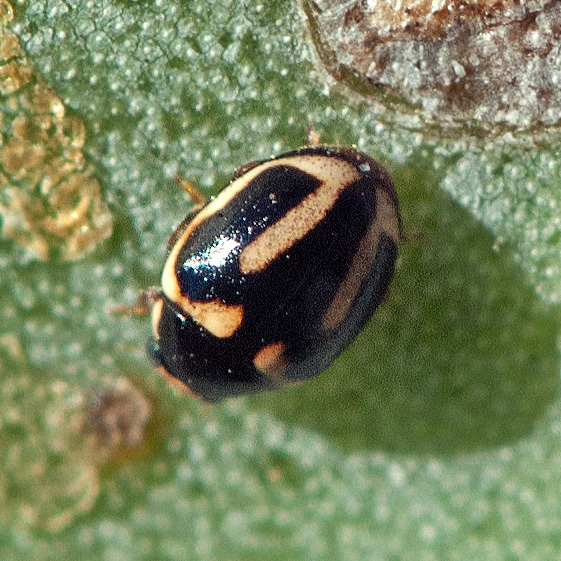 on Dove Weed (Croton setigerus). ©Nancy Hamlett. 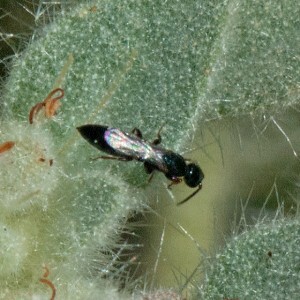 A chalcid wasp, Leucospis affinis, on Cobwebby Thistle (Cirsium occidentale var. occidentale). ©Nancy Hamlett. 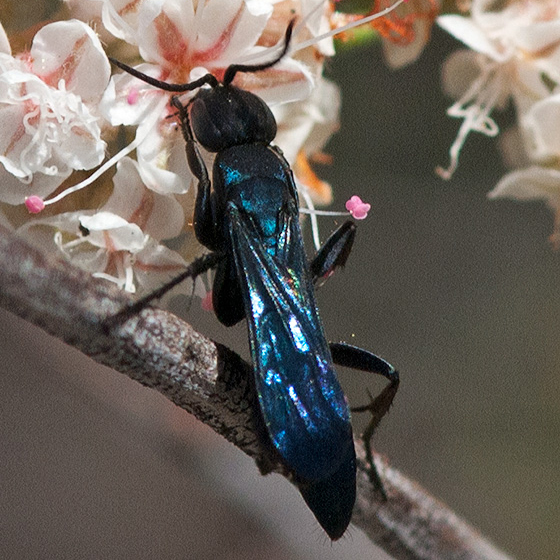 A spider wasp, Aporus hirsutus, on buckwheat. ©Nancy Hamlett. 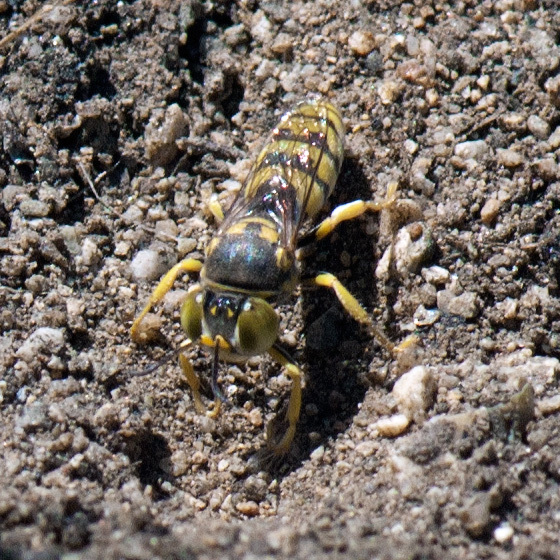 A sand wasp, Tribe Bembicini, digging in the sand in the burn area west of the drive. ©Nancy Hamlett. Kojiro Shiraiwa, Qian Cong, Nick V. Grishin. 2014. 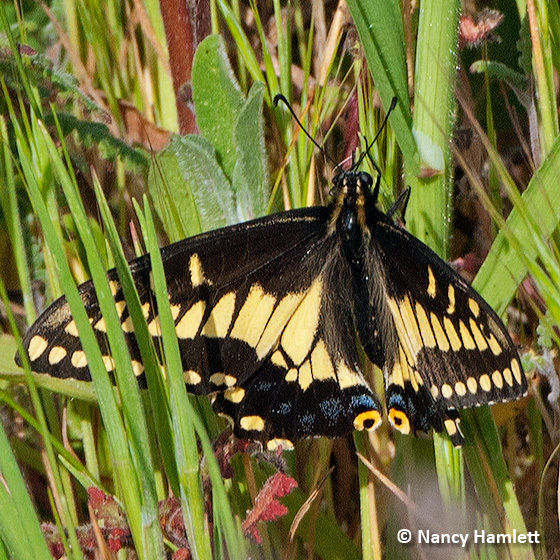 A new Heraclides swallowtail (Lepidoptera, Papilionidae) from North America is recognized by the pattern on its neck. ZooKeys 468: 85-135. M Orr, J Koch, T Griswold, J Pitt. 2014.Taxonomic utility of environmental niche models for species distinction: A case study in Anthophora (Heliophila)(Hymenoptera: Apidae). Zootaxa 3846 (3): 411–429. OPINION 2291 (Case 3524) Thecla dumetorum Boisduval, 1852 (currently Callophrys dumetorum), proposed neotype; and Thecla sheridonii Carpenter, 1877 (currently C. sheridanii) (Lepidoptera, LYCAENIDAE): current usage and names conserved. 2012. Bulletin of Zoological Nomenclature 69: 69-71. A summary is available in the News of the Lepidopterists’ Society, Vol. 54, No. 2, Summer 2012, p. 40.